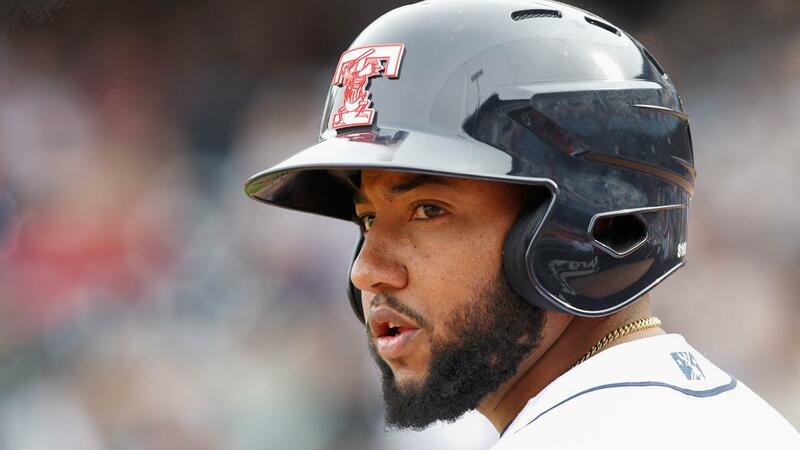 The Toledo Mud Hens open defense of their IL West Division title in exactly one week and will begin the 2019 season with plenty of familiar faces. 15 players on the Opening Day Roster spent time with Toledo in 2018. Mud Hens skipper Doug Mientkiewicz is back for a second season managing his hometown club. His coaching staff includes Mike Hessman, who returns to Toledo as the team's hitting coach. Hessman is the all-time home run leader for the Mud Hens, the International League and Minor League Baseball. Juan Nieves will begin his first season in Toledo as pitching coach and Basilio Cabrera returns for his fourth season as third base coach. Athletic trainer Chris McDonald is back for his sixth season in Toledo and Jeff Mathers returns for a second season as Toledo's strength and conditioning coach. • Tyler Alexander - The RHP from Chicago, Illinois split time between Toledo and Erie in 2018. • Sandy Baez - The RHP from Juan Baron, Dominican Republic split time between Erie and Detroit in 2018. • Beau Burrows - The RHP from Fort Worth, Texas spent the 2018 season with Erie. • Ryan Carpenter - The LHP from Glendale, Arizona split time between Detroit, Toledo, Lakeland and the GCL Tigers in 2018. • José Cisnero - The RHP from Bajos de Haina, Dominican Republic, last played affiliated baseball with Pensicola in 2015. • José Fernandez - The LHP from Mao, Dominican Republic split time with New Hampshire, Buffalo and Toronto in 2018. • Kyle Funkhouser - The RHP from Palos Heights, Illinois split time between Toledo and Erie in 2018. • Matt Hall - The LHP from Independence, Missouri split time between Toledo, Detroit and Erie in 2018. • Zac Houston - The RHP from Slidell, Louisiana split time between Toledo and Erie in 2018. • Eduardo Paredes - The RHP from Valera, Venezuela split time between Salt Lake and the Los Angeles Angels in 2018. • Zac Reininger - The RHP from San Antonio, Texas split time between Toledo and Detroit in 2018. • Caleb Thielbar - The LHP from Northfield, Minnesota split time between Toledo and Erie in 2018. • Paul Voelker - The RHP from Plymouth, Minnesota played the 2018 season in Toledo. • Cameron Rupp - The catcher from Dallas, Texas split time between Round Rock, Tacoma and Rochester in 2018. • Bobby Wilson - The catcher from Dunedin, Florida split time between Rochester and Minnesota in 2018. • Harold Castro - The infielder from Caracas, Venezuela split time between Toledo, Detroit and Erie in 2018. • Willi Castro - The infielder from Rio Piedras, Puerto Rico split time between Akron, Erie and Toledo in 2018. • Brandon Dixon - The infielder from La Jolla, California split time between Louisville and Cincinnati in 2018. • Pete Kozma - The infielder from Tulsa, Oklahoma split time between Toledo and Detroit in 2018. • Dawel Lugo - The Infielder from Bani, Dominican Republic split time between Toledo and Detroit in 2018. • Ronny Rodríguez - The infielder from Santiago, Dominican Republic split time between Toledo and Detroit in 2018. • Daz Cameron - The outfielder from McDonough, Georgia split time between Toledo, Erie and Lakeland in 2018. • Victor Reyes - The outfielder from Barcelona, Venezuela spent the 2018 season with Detroit. • Jacob Robson - The outfielder from London, Canada split time between Toledo and Erie in 2018. • Dan Woodrow - The outfielder from Chicago, Illinois split time between Erie and Lakeland in 2018. • Bryan Garcia - The RHP from Miami, Florida spent the 2018 season on the disabled list. The Mud Hens open the 2019 season on Thursday, April 4 at 4:05 p.m. vs. Louisville at Fifth Third Field. Kick off the season at the Opening Day Brewfest or Rooftop Party. For tickets, call 419-725-4367 or shop online.